Doodlecraft: 10+ of The Most Colorful Crafts Ever Round-Up! 10+ of The Most Colorful Crafts Ever Round-Up! Colorful crafts are so much fun. Where I am living, it's Autumn...it's getting cold, breezy, crisp, and jewel toned. I love the bright colors and love working with bright colors indoors to help combat the Winter blues. 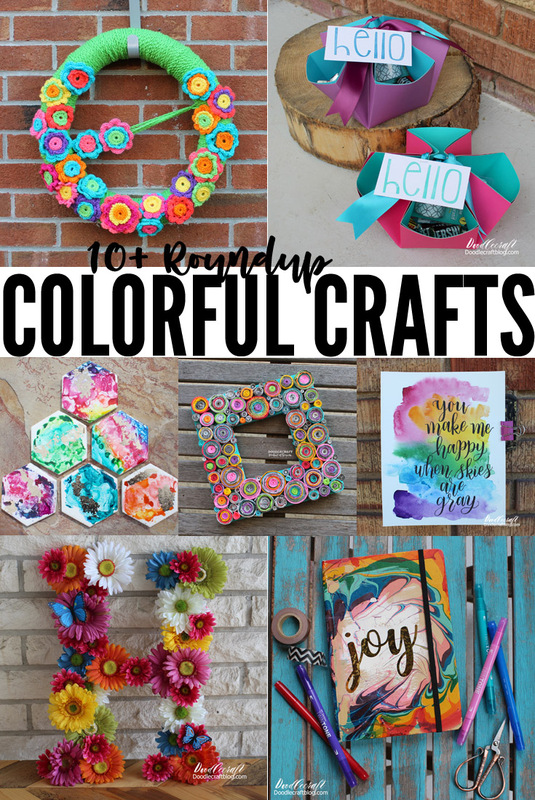 Here's the greatest COLORFUL craft round up ever...13 fun ideas to brighten your day! If you haven't already, get this VIP Box from Tombow for colored Fudenosuke pens and dot grid journal! Check out this post here. This is one of my all time favorite crafts...it is so much fun and looks amazing! I love the fern paper leaves and the hand dyed coffee filter flowers! 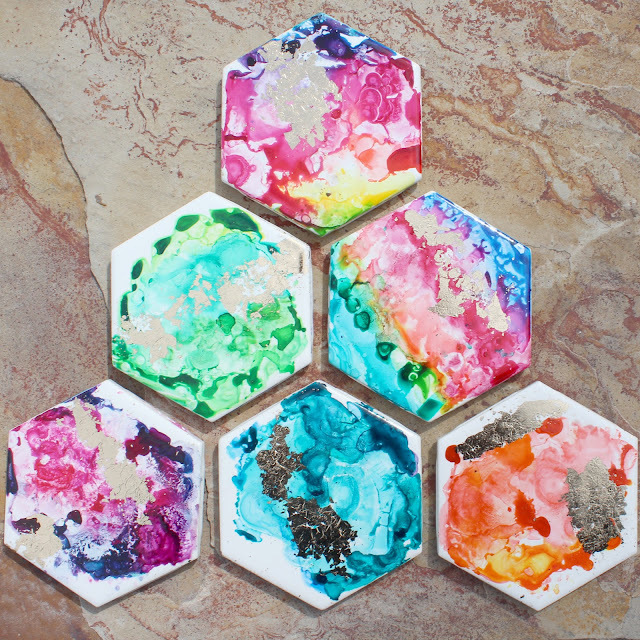 Using masking material to resist the water colors is a great way to do a watercolor art piece with minimal skill! Yummy and yes! I love the rainbow of bright colors--marbling is so fun! Crocheted flowers are cute and easy to make! Make a watercolor wash and hand letter over the top of it--maximum awesome! These flowers are huge! They are fun to make and bring an entire wall to life! Great gift giving option--easy to collapse, compost or recycle when done! Don't do this project!!! It's cute and brightly colored...but it's a nightmare! Easy first sewing project--great handmade gift idea too! All the colors in this awesome reflective surface! Now kick back with an ice cold lemonade! Gorgeous way to add some Summer indoors!